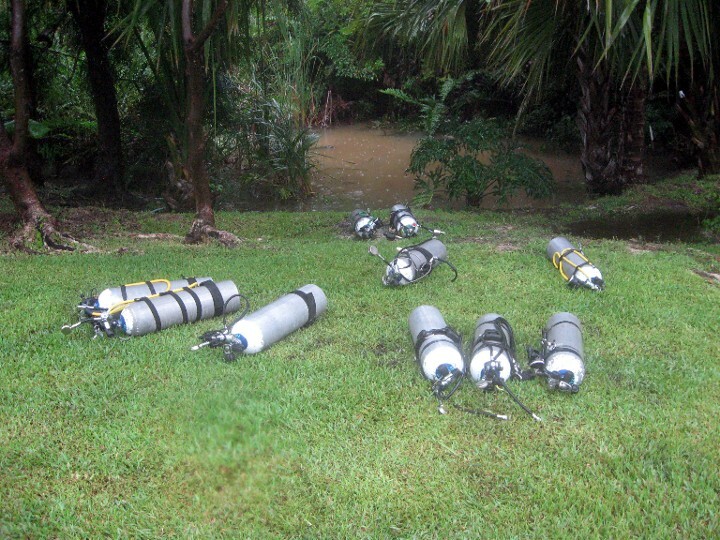 We started heading to the Riviera Maya shortly after we received our cave diving training. The caves in Mexico are different than the caves in N. Florida. While the caves in N. Florida were formed by the movement of the water along the limestone, carving out the formations that we see, the caves in Mexico were formed in air and flooded when the sea levels rose. Click here to take you to the bottom of this page for our Cozumel section. 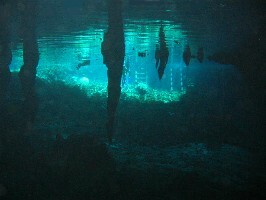 Grand Cenote is located off the highway to Coba close to Tulum. This cenote is a great place for snorkelers and open water divers because you can swim into the cave for quite a distance before the ceiling slopes down into the water. 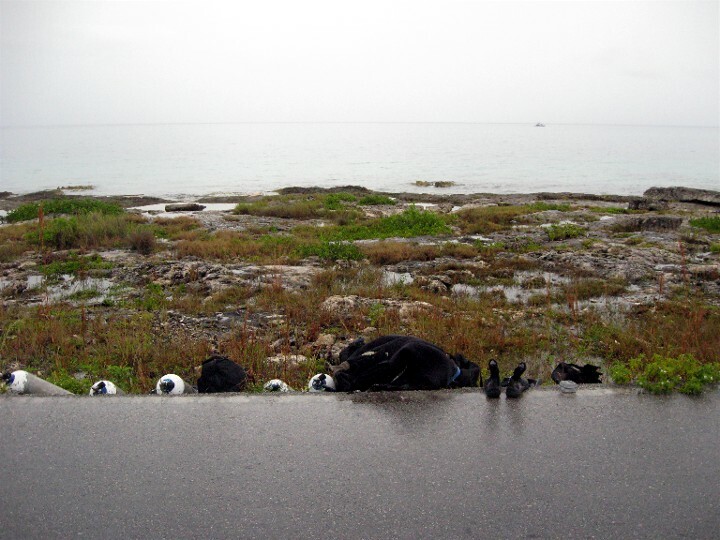 Open water divers need to be careful and attentive, though, because you could find yourself in an overhead without even realizing it. Don’t go up to the warning signs without proper overhead training. They are already in the overhead. 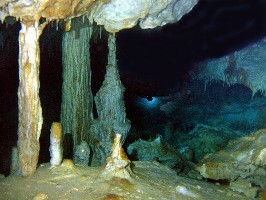 For the trained cavern diver, there is a gold line that runs along the entire perimeter of the cavern/cenote. This is one of the most beautiful caverns we’ve seen. There is quite a bit to see here. In fact, cavern divers can spend over an hour here without getting bored! Divers pay 100 pesos/$10 USD and snorkelers pay 80 pesos/$8 USD at the entrance. Divers be prepared to show a certification card. There are restrooms available for the public, as well as snorkeling gear for rent. 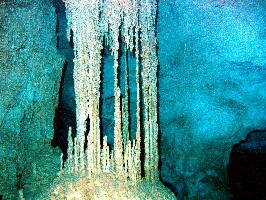 Do not apply sun screens or lotions before heading to Grand Cenote because it will contaminate the water. However, it’s not really needed as there is plenty of shade in and around the cenote. 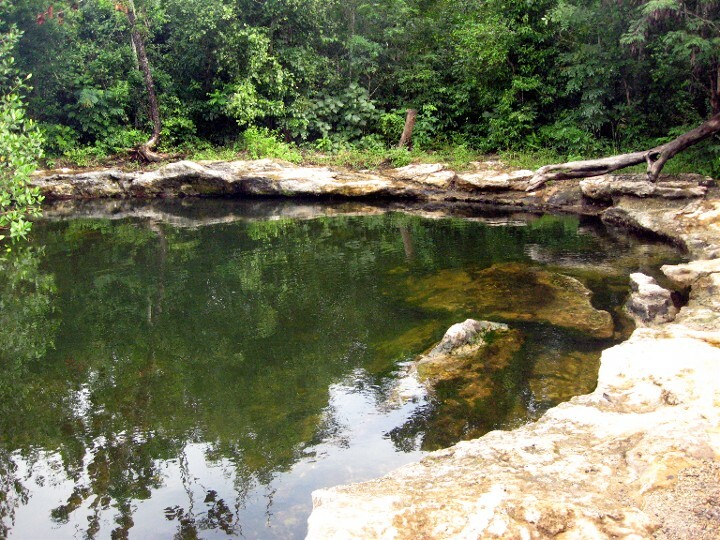 Nahoch is a cenote similar to Grand Cenote located off the main highway that runs from Cancun to Tulum. The access road from the highway is a bumpy dirt road that you must travel about 15 minutes before coming to the turn off to the cenote. 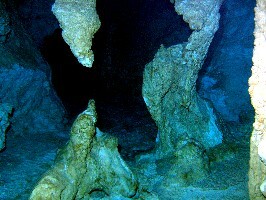 This cenote can be difficult to find and is best done with a guide. It is well worth it, though. 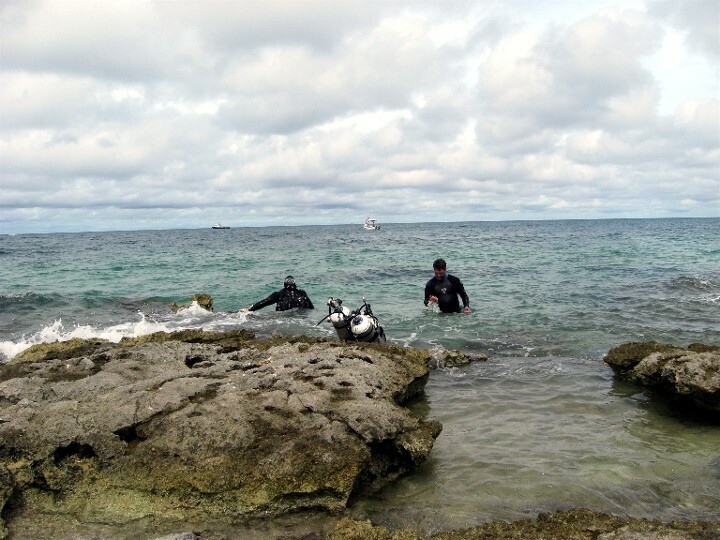 Snorkelers and open water divers can also go for quite a distance before the ceiling slopes down into the water. The cenote is teeming with life. And it’s large size allows for a lot of time to be spent here. For the trained cave diver, this can be a great cave. It is rather shallow allowing for a long dive without running into a decompression obligation. 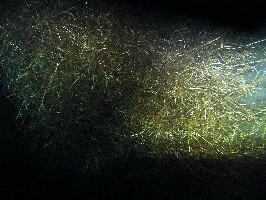 It also allows you to see roots penetrating through the ceiling into the cave. Divers pay 150 pesos/$15 USD at the entrance. There are restrooms and changing rooms available. There is also a rope and pulley system here to lower and raise tanks into and out of the cenote. Ponderosa is located off the main highway near Puerto Aventuras. 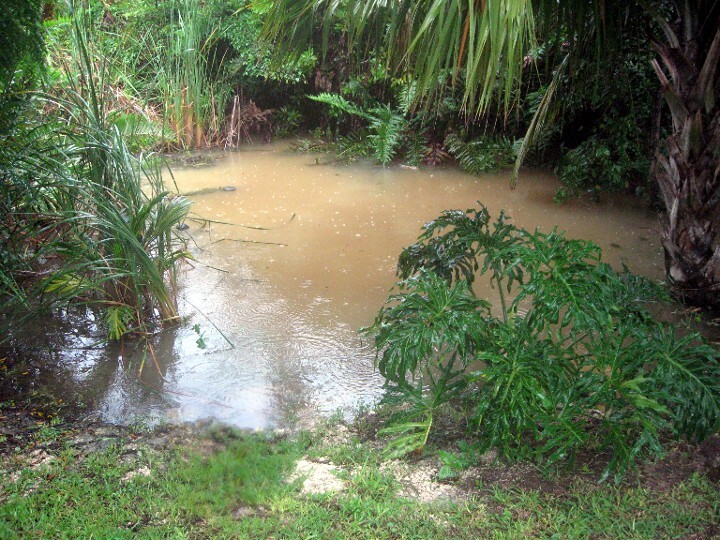 This cenote is very large and frequented by many local swimmers. 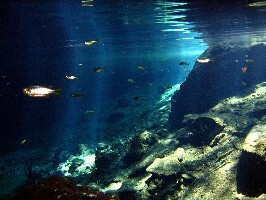 The cenote is also teeming with life and can offer hours of entertainment for snorkelers and open water divers. 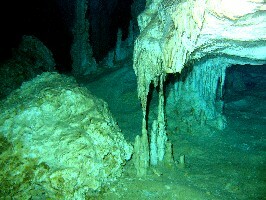 Unlike Grand and Nahoch, the Ponderosa cave begins under water. There are two entrances here, one near the entry dock and one on the far end of the cenote from the dock. 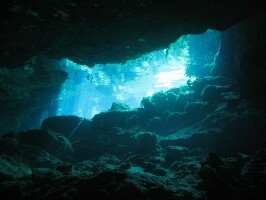 The one on the far end is typically entered by cave divers, while the one closest to the dock is entered by cavern divers. The great thing about this system is that cavern divers can spend a long time in here without ever leaving the cavern zone. 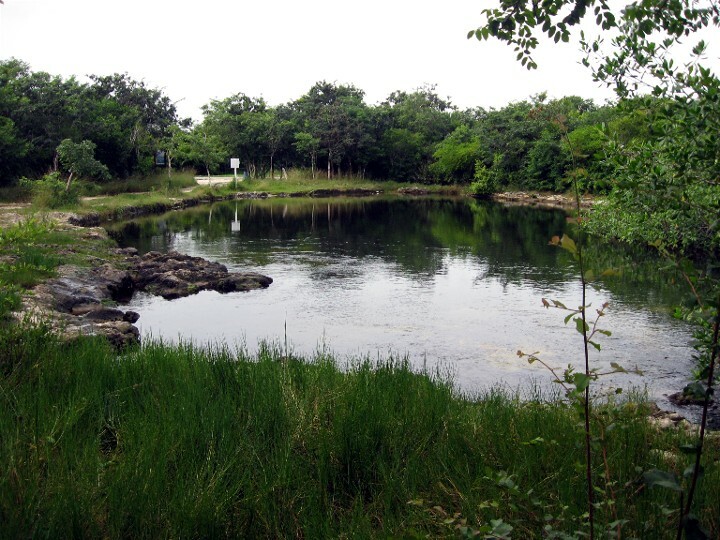 There are several cenotes in line, all less than 400′ apart. You are entering a new cavern zone before you ever leave a previous cavern zone. Cavern divers can swim almost 1000′ without ever leaving the cavern zone. Another great thing about this system is the halocline. 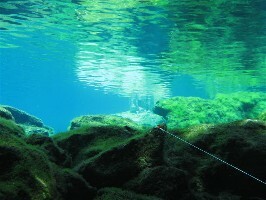 A halocline occurs when salt water and fresh water meet. Salt water, being denser and heavier, makes up the lower layer, while fresh water makes up the top layer. 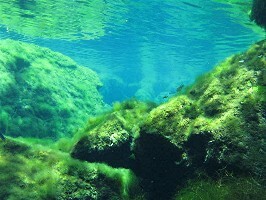 When swimming above the halocline, it seems like you are flying over the water, and when swimming under the halocline, it seems line you are swimming just below the surface. 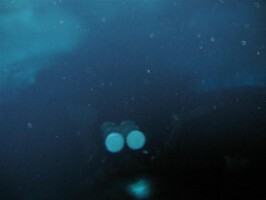 Here’s a photo of a diver through the halocline. 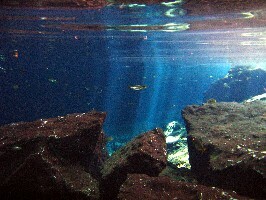 The blurriness is caused by the diver swimming through the halocline, not the camera. 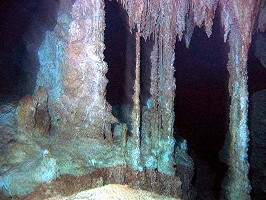 Check out the Ponderosa video on the Cave diving videos page to experience the halocline in motion. 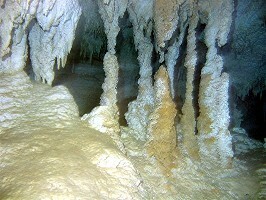 The following are some photos of a system in the Riviera Maya that is considered an advanced cave dive. 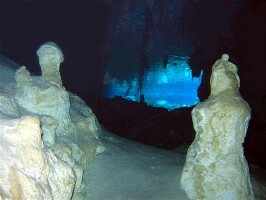 The entrance to this system is not a large cenote that can be used by snorkelers or open water divers. In fact, the entrance to the cave is what cave divers call a restriction, a passage that only allows one diver at a time to pass through. The mainline in the cave is still the original explorer line and the system is still in near pristine condition. 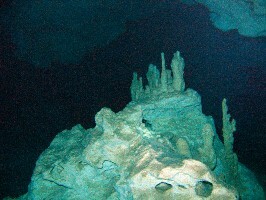 We visited Cozumel for the first time in 2011 on an expedition trip with several other cave divers. While most people go to Cozumel for the reef dives, the only reefs we saw were on the way to and back from some of the sea caves we went diving in. 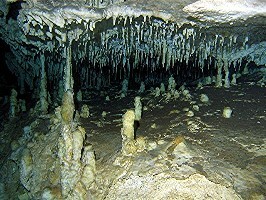 The caves of Cozumel are different than any other caves we’ve seen so far, including the caves located on the mainland. During our visit we connected a couple of entrances, found several hundred feet of virgin passage, and surveyed and mapped a couple thousand feet of passage. 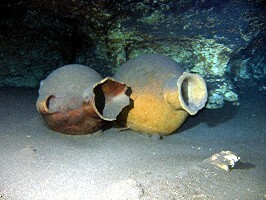 We will be returning to Cozumel on future expeditions to continue the work that was started there. Here are some photos of the systems we visited during our 2011 trip. 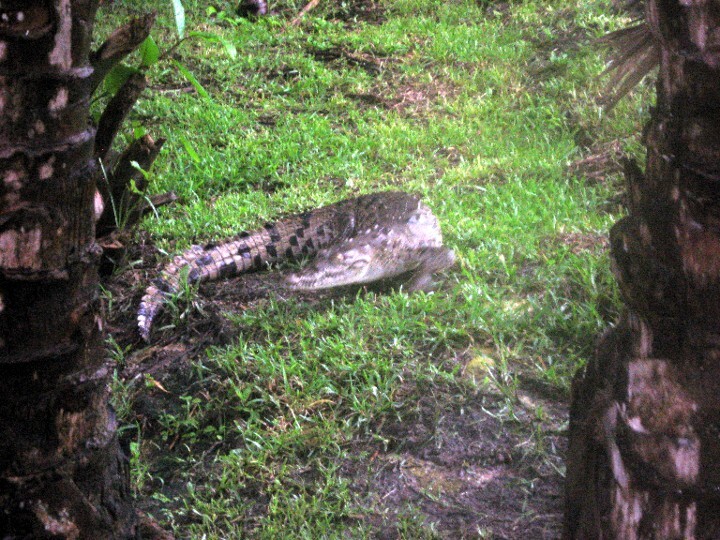 The crocodile here was turning and ran into the water just before we got in the water to begin our dive! Note the water is not clear!!! 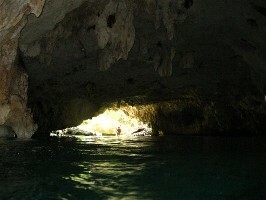 Another cenote entrance. This one is called Aerolito.